Provides that WOW factor with strong protection! High quality professional detailers love it! 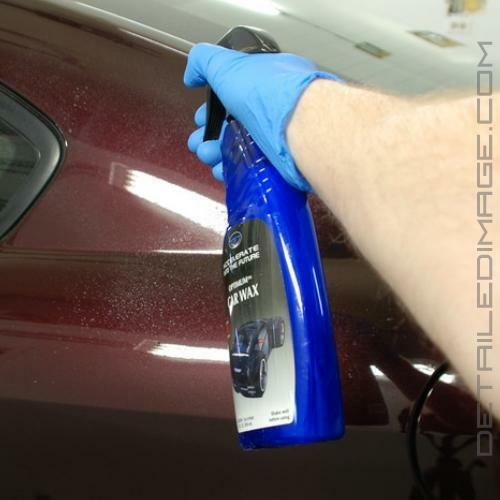 The Optimum Car Wax is sprayed on your paint to quickly add a deep gloss to the surface and valuable protection. Spray it directly on your paint or on an applicator pad and wipe it on the desired areas, then buff off the excess residue. You'll quickly be impressed with depth and gloss of this wax that applies and removes with ease. In about 15 minutes you can make your entire car look like you just spent all day detailing it. It's also an environmentally friendly product that has no VOC's or harsh chemicals. Using a combination of carnauba wax, polymers and other key ingredients you'll get one of the most well rounded waxes you have ever used. 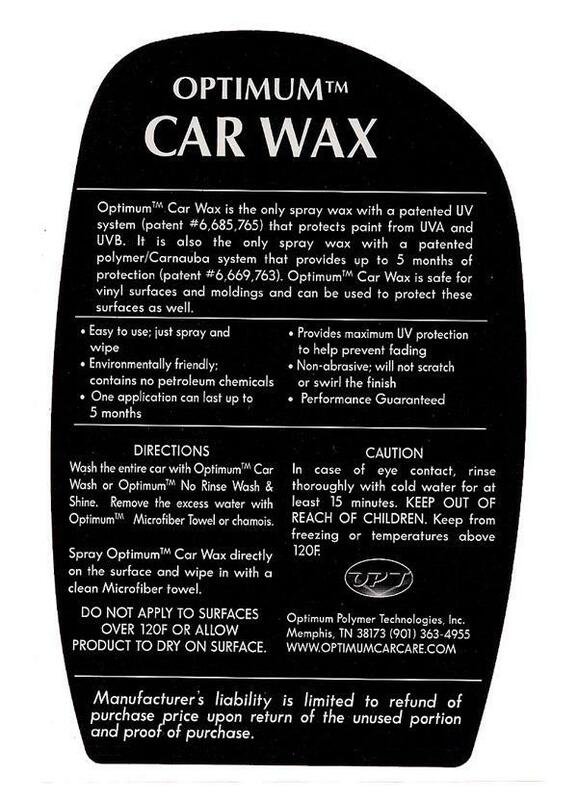 The Optimum Car Wax provides outstanding protection against UV rays, industrial fallout, road grime, moisture, etc. Expect 1 - 2 months of added protection under normal conditions for a daily driver. You can use the Optimum Car Wax just after washing for a quick touch up or after completing a full detail as that perfect last step. I definitely found exactly what I was looking for in this case. The easy application and great looks were a huge plus, but most importantly I found the durability of a spray wax I was looking for in the first place. I now use it regularly on my own car and some clients' vehicles that I see monthly to provide additional protection in between applying a more durable sealant. Optimum Car Wax is the only spray wax with a patented UV system (patent #6,685,765) that protects paint from UVA and UVB. It is also the only spray wax with a patented polymer/Carnauba system that provides up to 5 months of protection (patent #6,669,763). 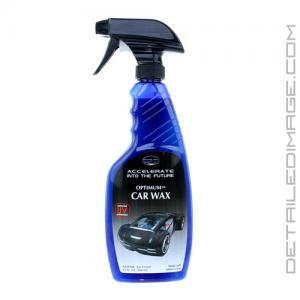 Optimum Car Wax is safe for vinyl surfaces and molding and ca be used to protect these surfaces as well. Environmentally friendly; contains no petroleum chemicals. One application can last up to 5 months. Provides maximum UV protection to help prevent fading. Non-abrasive; will not scratch or swirl the finish. Wash the entire car with Optimum Car Wash or Optimum No Rinse Wash & Shine. Remove the excess water with Optimum Microfiber Towel or chamois. 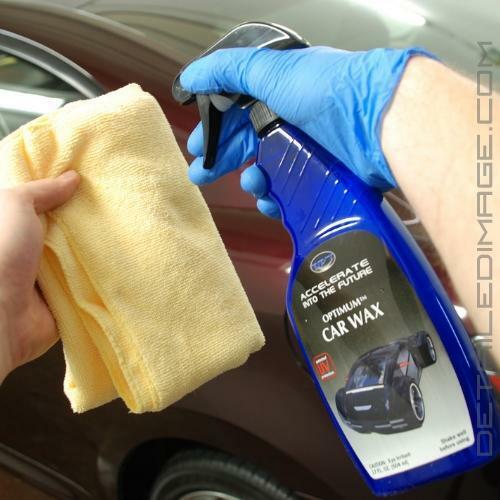 Spray Optimum Car Wax directly on the surface and wipe in with a clean Microfiber towel. This works great ! It is easy to use and remove. Leaves a slick finish . It makes waxing a lot faster. This is the Good Stuff.....After wash spray on,wipe off and buff a little....Super slick and shiny.....My go to after wash!!! !